Ace and renowned singer Sonu Nigam, came out on the streets of Mumbai-Juhu dressed like an old beggar and was spotted with his harmonium, singing. For some time, the passers-by did not notice him at all but then, when he started singing people began to gather and he had a huge crowd. Everyone was shocked to see the beggar singing amazingly and his soulful voice just attracted them all towards him. For few minutes, commuters forgot about their daily lives and began listening to him sing. But sadly, these people did not know that this homeless man seated on the pavement was actually Sonu Nigam himself. After stepping into the shoes as a street performer, Sonu Nigam took fans and followers by surprise. There is a video of this act named ‘The Roadside Ustaad’, which was released on Culture Machine's digital channel Being Indian on Tuesday. 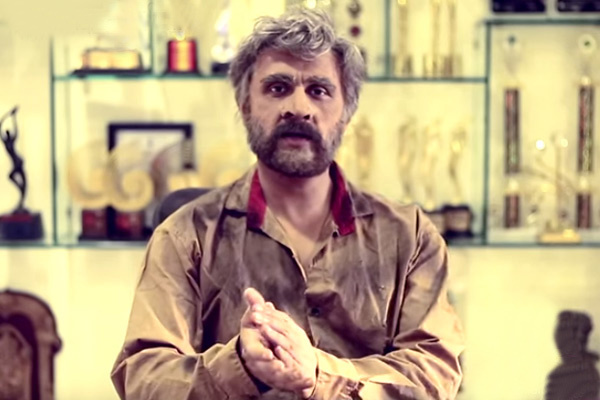 In the video you can see, Sonu Nigam expressing saying, "I went without any expectations, totally bereft of any awkwardness for the way I was looking and what I was about to subject myself to. For the first time, I was not me. The make-up was so good and authentic that people standing so close to me, couldn't recognise." Sonu also adds to say that what touched him the most during this act: "My most memorable moment (during this act) is of this boy who held my hand and asked 'Uncle, did you have breakfast?'. As he took my hand, the boy slipped Rs 12 into my palm, without anybody watching. I felt as if I just made lakhs of money... I've asked my office to frame the money."